At Garage Door Repair and Installations Company, we have 24 years of experience. We have served the Visalia CA for many years and have built personal relationships with many of our clients. Having served in the United States Marine Corps, Rich knows how to get the job done right. 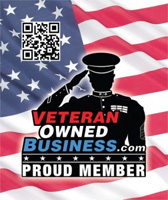 As a Veteran Owned Business, we take the same level of quality expected from Rich’s time in the US Military, and apply that to our business. We are an ethical, professional company that Visalia, CA and the counties of Fresno, Tulare and Kings have been relying on since we opened our business. If you need Garage Door Repair, Garage Door Spring Repair, or would like Garage Door Installation, our helpful and professional staff will walk you through the entire process, from beginning to end. With every project, we ensure that our client is fully satisfied before we consider the project complete. Every customer is treated like a member of our family, and every customer receives our best service. Look to our reviews across the internet to see how we’ve been creating happy customers across Visalia and beyond for years. With our decades of garage door experience, we not only know the best way to get your issue resolved the first time, but we will provide you with fast, reliable service at a competitive price. Speak with our friendly staff today.